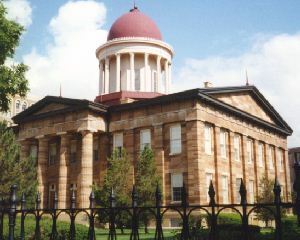 If you are looking for a fabulous two day trip, there is no finer place to drive off to (or take the train) than Springfield, Illinois. Go to the headquarters of the Land of Lincoln. 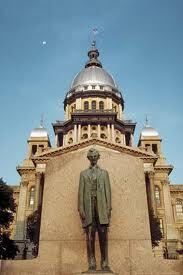 Obviously, Abraham Lincoln has ranked consistently high on the list of the finest U. S. Presidents and the state of Illinois has captured his life and career in every which way possible. It's an easy trek for Chicagoland residents making a trip to Springfield. Springfield offers great bed and breakfast options, along with the traditional hotel and motel chains. You only need two full days to take in everything, so plan on staying one night if you are heading in from the Chicago area. Obviously, if you go during State Fair week, you will need more than two days. 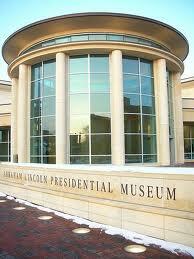 The most not to miss destination in Springfield is the Abraham Lincoln Presidential Library and Museum. I’ve visited multiple Presidential Museums (Kennedy, Nixon, Ford, Carter, Reagan, among them) and this is as good as any of the others, if not more so. It is a monumental achievement in this day and age to build something so magnificent; and it works on all levels. It is engaging, entertaining (dare I say) and inspiring. It’s a superb combination of full frontal scholarship along with great theatrical elements of mass entertainment. You become bonded with the location and with the times in which Lincoln lived. This is a destination not just for Chicagoans or Midwesterners. I would recommend this Museum to any thinking person. It’s history defined at its best. The Museum/Library is home to a huge volume of Civil War material. The collection is immense, but whether you are a civil war buff, a history lover or just a passenger passing by, this collection will stun you. Several attractions are just a short walk away, so you can take in the Lincoln Home National Historic Site which is in walking distance from the Museum. It’s a wonderful place to walk around and get a feel for the times of Lincoln. The house is surrounded by similar structures that are now used as office spaces for government agencies. Everything has been kept true to the architecture of the day. You can pick up a free ticket to tour the Lincoln Home at the visitor center. Definitely visit the visitor center. The center alone is an attraction and you will gain lots of tips about the area. Walk on over to the Lincoln Herndon Law Offices and you get to see the building Abe Lincoln worked in prior to his political career. The place is amazing in that it is pretty much like they left it! Quite historic! You can also walk over to both the old State Capitol and the new State Capitol. You can take tours of both, but the highlight is the old State Capitol. The building is stunning from the outside and the inside. You will feel like you have been transported back to the mid 19th century. You will have to drive out to Lincoln's New Salem Village to see what a village looked like in the days of Lincoln, but it is worth it. No trip to Springfield is complete without seeing this village. Keep in mind, it gets hot and humid here in the summer, so this is not something you may want to do in mid-July. There is quite a bit of walking here, so bring the sunscreen and a wheelchair for older companions. 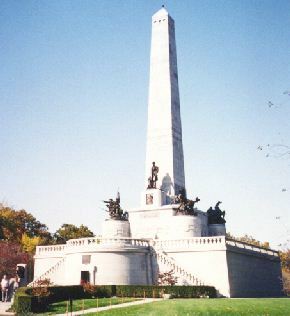 Last, but not least, no visit to Springfield should take place without a memorial trek to the Oak Ridge Cemetery. Lincoln is buried here under a tremendous amount of pomp, but could any American, outside of George Washington, be worth the pomp and glory that Lincoln gets here at Oak Ridge. The outside of the tomb is a majestic structure erected in honor of the nation's 16th President and the deep underground burial location is haunting and lovely. Lincoln's wife and three of their four sons are buried here as well. The cemetery is also home to the World War II, Korean and Vietnam Memorials for the state of Illinois. All of them are stunning displays in tribute to the men and women who served their nation. On a lighter note, the original Route 66 made its way through Springfield and there are several landmarks along the way to help you mark the spot.